I recently purchased a very old house badly in need of repair. 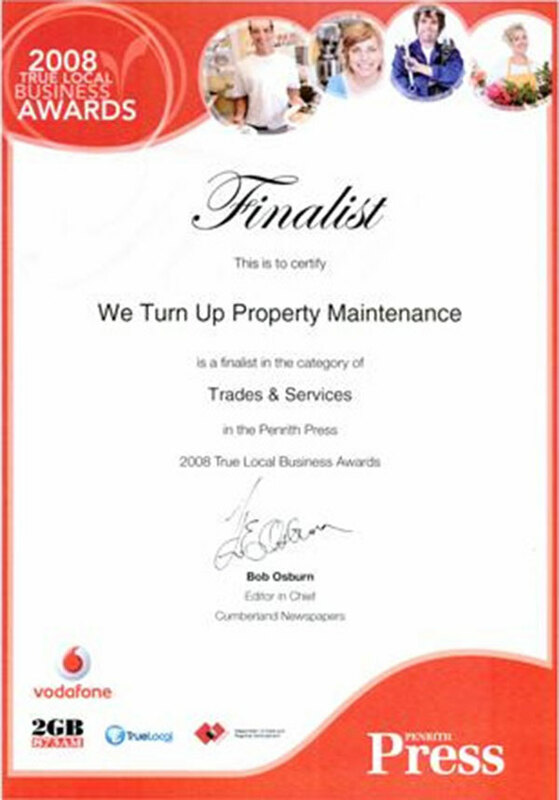 Little did I know when I employed Colin Skinner of “We Turn Up’ Property Maintenance to pressure clean the exterior of the property that he would completely transform the place. He proceeded to give me quotes for replacing rotten weatherboards, painting the exterior, replacing the old tin roof and spray painting the existing, renewing guttering and downpipes and anything else he could see that needed repairing. Colin also installed new French Doors and new windows and built a pergola to greatly improve an ugly back entrance. Although we were delayed initially due to bad weather, Colin always tried to keep to his timetable. He always phoned to tell me what time he was coming or if he had to change plans. He uses the internet to source the best products and prices and always talks to you about alternatives as he was very aware of my budget restraints. 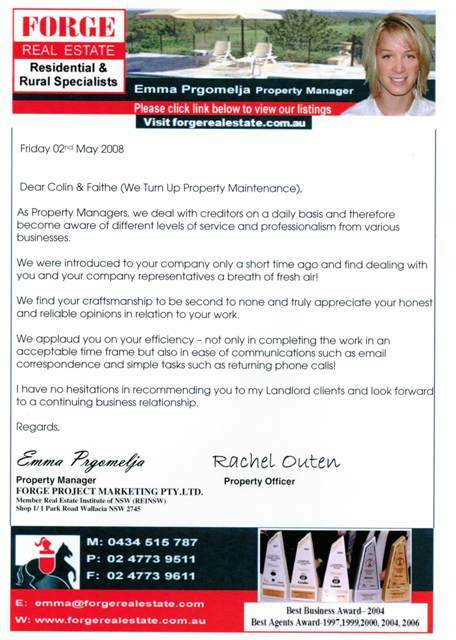 Colin is reliable, hard working, and very keen to succeed in business. He has a very easy to get along with personality , but be prepared to keep him supplied with many cups of tea and the occasional sandwich!!!!!!!! I am very pleased that I found “We Turn Up” because many others don’t. Thank you Colin.